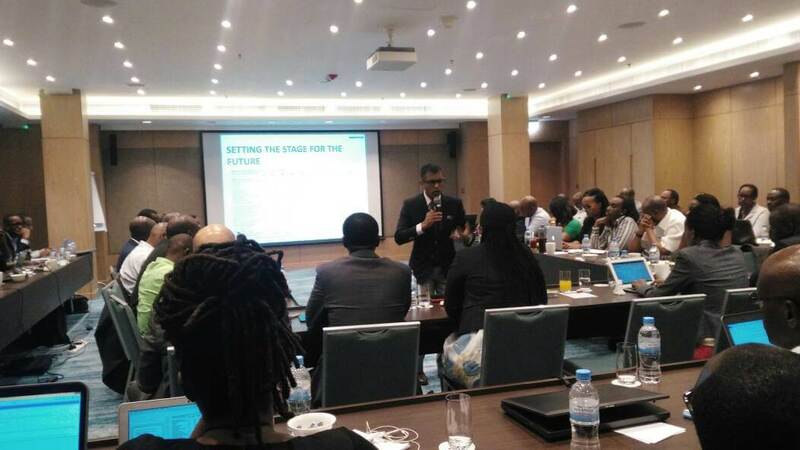 On 15th and 16th August 2017, FMG CEO Devadas Krishnadas was invited to provide advisory services to the Rwanda Development Board (RDB) to help shape Rwanda’s strategic focus while identifying niche opportunities for economic transformation. The RDB is a government agency responsible for facilitating investment in Rwanda, with the mission of turning Rwanda into a global dynamic hub for business, investment and innovation. On 15th August, CEO Devadas Krishnadas spoke to attendees from RDB, Ministry Of Finance and Economic Planning (MINECOFIN), Rwanda Information Society Authority (RISA), Information and Communication Technologies (ICT), The Private Sector Federation (PSF), The Global Green Growth Institute (GGGI), and Rwanda Governance Board (RGB). 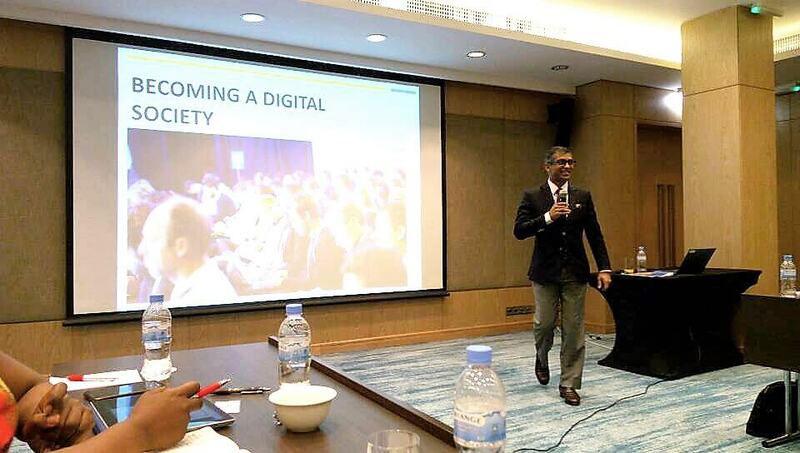 FMG CEO Devadas Krishnadas in his element at the RDB engagement, taking the attendees through the steps to becoming a Digital Society. FMG CEO Devadas Krishnadas answering CEO of RDB, Clare Akamanzi's question during an intense discussion regarding shaping Rwanda's future. CEO of RDB, Clare Akamanzi, convening the day long workshop. As Rwanda moves towards its goal of Vision 2050, FMG is proud to be part of this journey.